Fifty years after Armstrong's one small step, the world's richest man claims the moon as his own personal property... and Channel Seven is there! This graphic novel shows what happens when absolute power corrupts absolutely, when The Mob has nuclear first-strike capability, and when cows jump over the moon. Witty banter, one-sixth gravity derring-do, and an explosive finale from a tale that Sci-Fi Universe says has "a wide-eyed sense of wonder and a clear appreciation for adventure-based science fiction." This book is like "Die Hard" meets 'Broadcast News" on the moon and was nominated for the American Library Association 2002 Popular Paperbacks. 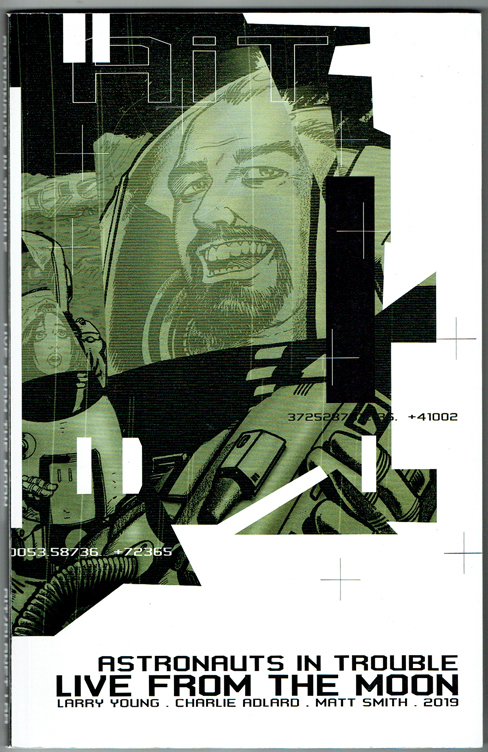 It has an introduction by Warren Ellis and a follow-up story by Larry Young and Darick Robertson.